We offer buggy rides for your next block party or corporate event. We'll bring the horse and carriage to you! Call us for more details! Hobo and Santa brought joy to the Westlake Prominade. Click HERE to find out how we can bring Santa to your next holiday event! 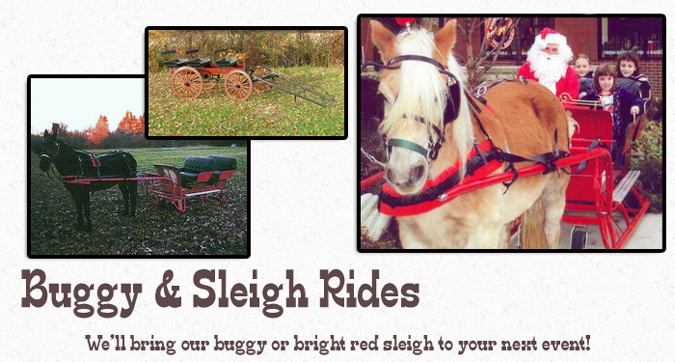 You'll love our bright red sleigh and halflinger ponies. From elegant weddings to church or city fairs, it's lots of fun for all ages!